Convenient hot water is a staple of our lives. However, we take for granted what it takes to provide this modern day convenience. Well, it's a convenience as long as the water heater works. Here is a top list of tutorials explaining how to maintain, repair, and install ​tank-type gas water heaters. Also, you will find a discussion on tankless water heaters also known as "on demand" water heaters. 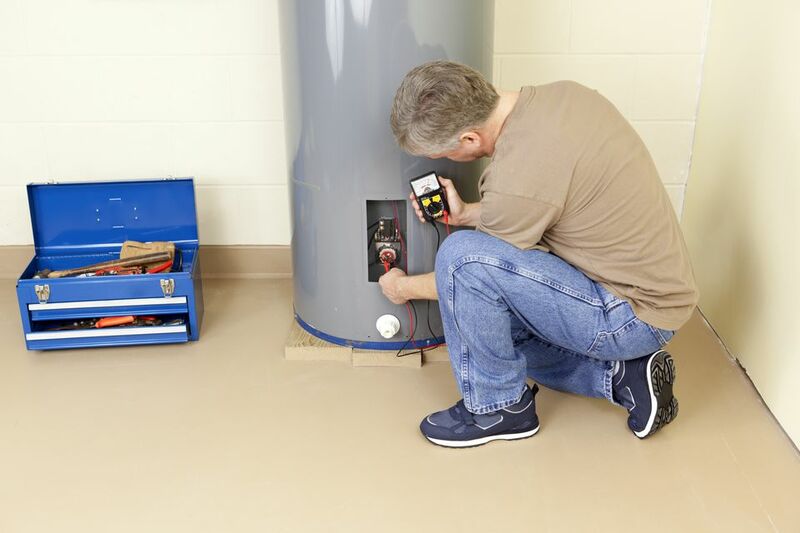 This tutorial explains how to troubleshoot and repair your tank type water heater. Even if you're not ready to replace your water heater with a new energy-efficient model, you can still do things to save water, energy, and cost. Water heaters come in all types and sizes. There are natural gas, propane, oil, electric, tankless, and solar models. They all vary in terms of first cost and operating costs. No matter what type you have, some things will remain pretty typical in terms of how you can reduce your expenses in operating the water heater. A common reason that the water heater pilot does not ignite or a burner does not stay lit is because of a problem with a thing called a thermocouple. Similar to that found on a gas furnace, a thermocouple is used to control gas flow in gas water heaters including older style standing pilot models and newer electronic ignition pilot models (e.g., Piezo Igniter). The thermocouple is part of or attached to a pilot burner assembly and will connect to the gas control valve on the outside of the water heater. Water heaters are supposed to have periodic maintenance but all too often they are just left to churn away without maintenance and thanklessly make hot water for us, day in and day out. When they've had enough, they quit due to rust and corrosion. The quickest and easiest way to replace a water heater is to have it done by a plumbing professional, but if you can't afford it or really want to do this yourself, then this tutorial will show you the way. Tankless hot water heaters can be a great solution to your residential hot water needs. They're also referred to as on-demand hot water heaters because they don't usually store hot water, but rather create it on demand. There are a lot of factors to consider with these units so I'll lay out what you need to know about the tankless water heater so you can make an informed decision. Tankless water heaters are great appliances but are often oversold in terms of their capabilities. Like many great ideas, the marketing hype can often get ahead of the technology and salespeople over-commit the capabilities of the product to the consumer. The result is an unsatisfied customer, wasted money, and a poorly performing appliance. In this tutorial, I will help you separate fact from fiction and see how your geographic location affects tankless water heater performance.